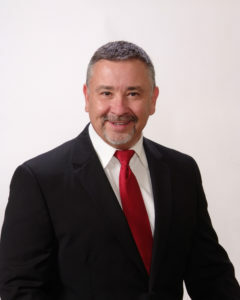 Dr. Scott Wofford is the founder of West Texas Back Clinic in Abilene, Texas, where he has been serving The Big Country with chiropractic care and therapy for more than 29 years. Dr. Wofford was born and raised in The Big Country and is a graduate of Hawley High School. He attended Abilene Christian University for his undergraduate studies, where he then continued on to Parker College Of Chiropractic to receive his Doctor of Chiropractic. In addition to his education, Dr. Wofford received his master’s degree at the Academy of Physical Therapy and the International Academy of Medical Acupuncture. He is a diplomate of both the American Academy of Pain Management and the American College of Chiropractic Rehabilitation. Dr. Wofford has studied internationally and has published research with patented methods for verifying Efficacy of Manipulative Medicine, and he is also the co-inventor of the methodology of treatment for victims of Cerebrovascular disease using electrically conductive needles. Dr. Wofford has been a leader in the chiropractic profession not only with his research, but also with his leadership and recognition among other Texas Chiropractors. Dr. Wofford served as the President of the Texas Chiropractic Association while also serving on its Board of Directors for 17 years. In 2002, past recipients of the TCA’s prestigious “Young Chiropractor of the Year” award voted Dr. Wofford the honor. In 2017 Dr. Wofford was inducted in the Fellow of International College of Chiropractors (FICC). The Fellow designation is bestowed upon those whose contributions have made or who will make significant impact upon the science of chiropractic and to those who render valuable and meritorious service to the profession. In addition, Dr. Wofford has been voted “Best Chiropractor in The Big Country” by the readers of the Abilene Reporter-News for 19 years.